The coolest game of the year is here! 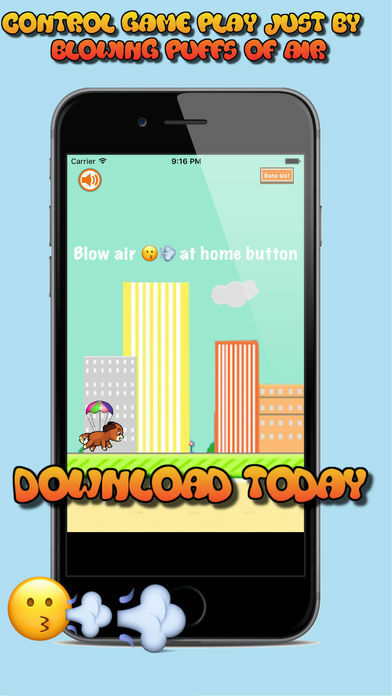 Control the game by blowing puffs of air on home button. 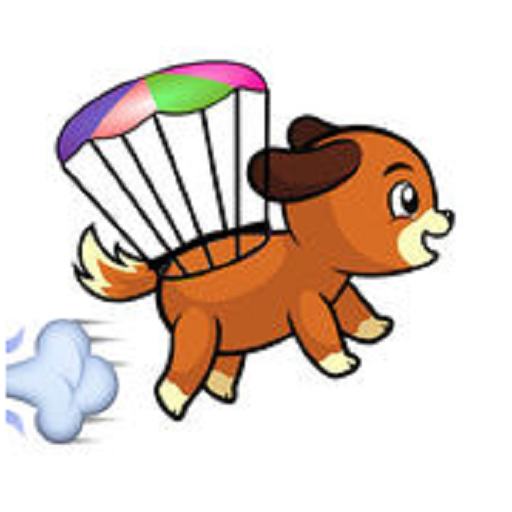 "Blow air on the home button to make the puppy fly. 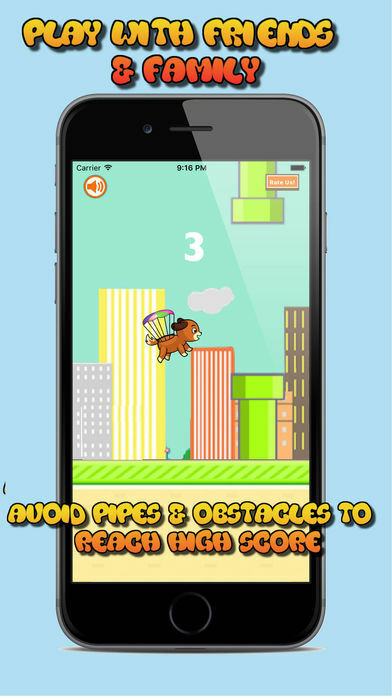 Avoid the pipes and obstacles to reach the highest score"
->For best results, keep the phone closer to your mouth. ->Multiple short blows of air are more precise and powerful than one long blow of air. ->Game works best in quiet environments. 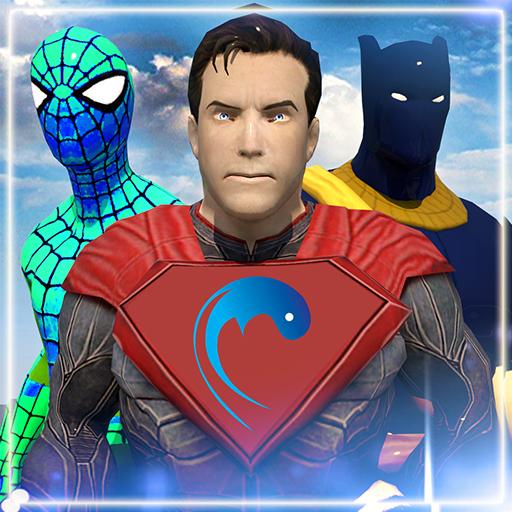 Enjoy the game for free and don't forget to share it with your friends and family if you like it. If you have any suggestions or find any bugs, please do write us at nextgeniosapps@gmail.com. 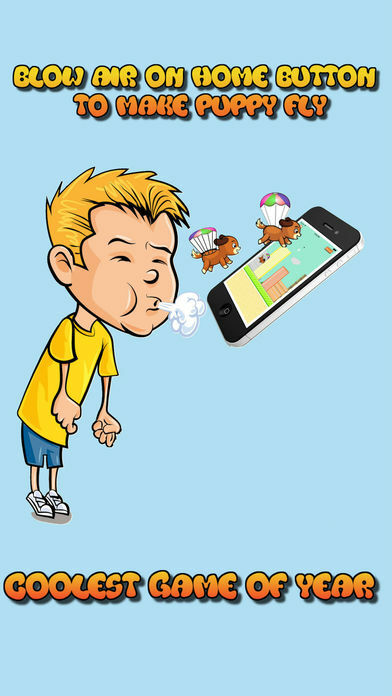 Note: the app utilizes the inbuilt microphone of the phone to detect the air ressure of the blow and control the game play. 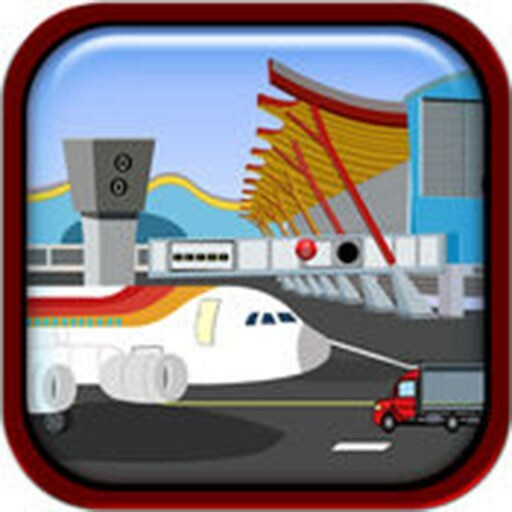 Because of location of microphone, app is suitable for iPhone only.